Even “interesting” companies cannot completely rely on a flashy product or a unique concept to make customers develop an emotional attachment to their business. For traditionally unglamorous companies, it can be even more difficult to market themselves in a way that allows their customers to feel like they know the people and the values behind the brick and mortar façade. That’s really what humanizing your business comes down to. With the marketing tips found in this blog you can begin to create an emotional connection with the people who really drive your business. For businesses that manufacture something basic, yet essential for everyday life like cardboard boxes, or steel beams, that emotional connection is the key to standing out amidst the varied competition from all over the world that builds similar commonly used products. There are multiple ways to go about creating a persona, or a personality that your customers can connect with. Here are a few suggestions that 360 Direct Milwaukee has found useful for our clients. Some businesses, depending on the marketing angle, have benefitted from poking fun at themselves in a way that builds trust and comaradarie. One of our clients, Converting Solutions Inc., ran a campaign with our team’s guidance to help do exactly that. CSI’s owner happens to be a vocal Bears fan despite living deep in Packer territory, and he’s never been one to pass up the opportunity to engage in good-spirited trash talk with his team’s number one rivals. To reward his customers for their loyalty and engagement with CSI, he ran a Trash Talk with Al competition, where the competitors could sling their favorite one-liners his way, with the best dig winning tickets to a Bears v. Packers game at Lambeau Field. After a few days of fielding creative zingers, Al awarded one loyal customer with those tickets, and succeeded in building a great relationship with all of the participants. As a result, CSI strengthened their image as a creative, easy going, and fun-loving company that treats its customers like friends instead of a paycheck. That kind of rapport can generate continued business over the course of decades through brand loyalty and emotional connection. Some business owners don’t interact much with customers, depending on the structure of the business. This isn’t necessarily a bad thing, but it’s nevertheless important for owners to not shy away from injecting personality into their company. When a potential customer has to choose between you and another business that provides similar products and services at comparable rates, the way they feel about you personally can sway them in their final decision. To build 360 Direct’s presence in the Milwaukee area, our founder and President, John Bernhoft, participated in a Q&A session with Biz Time Magazine. That article generated a measurable increase in the hits to our website, and gave current and potential customers positive exposure to the person behind the company they’re working with. It may seem like a small thing to conduct an interview with a blogger or industry publication, but in reality, those positive, humanizing aspects of marketing go far in strengthening your brand and building relationships. This may seem like a no-brainer, but you’d be surprised how many businesses neglect important vectors of communication with their clients via social media, email subscriptions, or product and service reviews. These days, a phone call can still go a long way in building trust and relationships, but most people today use their smart phones and social media apps to engage with both social and professional networks. Online mediums are an easy and profitable method of reaching out, letting your customers know you care what they think of you and the kinds of products and services they want from your company. They’re also excellent tools to show a little personal and memorable flair in your posts. However you want your clients to feel about your business, you can build that perception effectively by utilizing an email marketing campaign, creative social media posts, and engaging surveys. Responding to concerns and praise online helps customers feel heard, and that alone is a powerful way to build trust and loyalty. This is by no means a complete list of all the ways to humanize your business through relationship building and marketing strategies, but they are good starting points. If you’re interested in learning more about what you can do to strengthen your company’s public persona, get in touch with one of our marketing consultants. We’d be happy to meet with you and see how we can help you find creative ways to outsource your marketing. Contemplating my last chance at a successful turkey hunt this Spring, it occurred to me how similar the two activities are. Many people in the industry say 80% of advertising does not work. Also, it is said that only 20% of turkey hunters this spring will take home a turkey. Just a fun fact. Strategy. 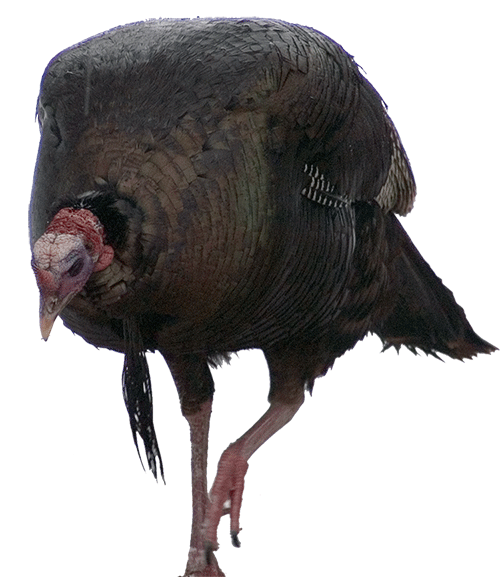 If my strategy for hunting tom turkey were to wake up sometime in the morning, grab my gun and walk to the hunting blind, I probably shouldn’t expect much. Knowing what excellent vision turkeys have, and that any irregularity in their line of sight will cause them to flee, hunters know every inch of themselves and their firearm must be camouflaged. Knowing how challenging it is to take one of these birds down as they are always on the look out and listening for predators, it is necessary to get to your blind before the sun is even close to rising and to wait for hours without moving or making a sound. Similar to using tactics such as printing brochures or putting out a website without an in depth understanding of one’s customers and competitors. This relates to positioning, or carrying out an objective to achieve the business’s goals. It is necessary, in marketing, to understand buyer behavior. In staying ahead of the consumer, it is so important to know the marketing environment in order to comprehend the consumer’s concerns and motivations. Kind of like knowing how to put out the decoys and which turkey call to use and when. And last, my favorite thought on this subject. 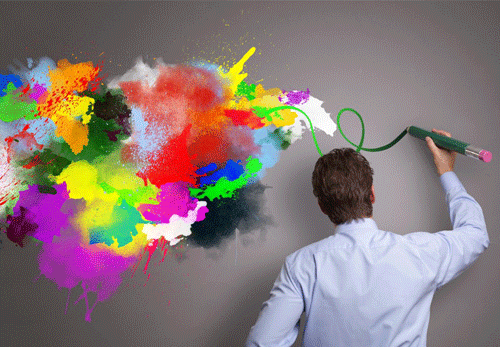 Guerrilla marketing: low cost, non-conventional means used to promote a product or idea. Similar to Chicken on a Stick: low cost decoy on a stick that is used at close range. Just so crazy it may work! Would you cut your own hair? Fill your own cavity? Replace the water pump in your car? There are people who are capable, not me for one. YouTube is one of the culprits promoting an age of do-it-yourselfers. Although, I could watch a video or two on YouTube and attempt to replace a water pump, I know it would be a bad idea. The result would not be the same had I taken it to a mechanic. Having a professional do the job would be the most sure way of knowing I will be driving my car to work the next day. For some, it is essential to hire a marketing agency. Whereas others consider it acceptable to have the high school kid next door work on their business’ website. Many people build their own website, but can they navigate the sea of SEO? Do they have the time (+ or -20 hours per week according to Google) for the monthly upkeep of a website (along with social media tools.) Does the neighbor know the strategy and what keywords will work this month, and knowing what Google feels is of importance (as this changes every day)? DIY marketing is not the way forward. 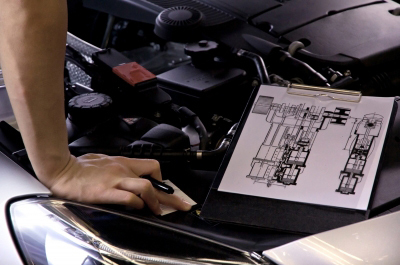 Using a professional service for almost anything tends to get you the best outcome, the best solution to a problem. Professionals, no matter what the service, engross themselves in their craft and are the best suited to help. Investing in people who know, really know, how to make the most of what marketing you have in place (or need to have in place) is as important as investing in a mechanics’ skill to ensure you will move forward. Save the do-it-yourselfing for fun projects; not the essential elements that drive your business. Do you say, “my target customer is Everybody”? Realize, “you can’t boil the ocean.” In other words, there are limitations to everything, and budget is a big limiting factor to finding your target customers. Targeting potential customers, in general, without details and specifics, works great if you have an unlimited budget. By defining your best customer and focusing on more specific details such as demographics, behaviors, and truly understanding the needs and wants of your customer is much more efficient and cost effective. Further define who is not your customer, as the non-ideal customer can be a drain on resources. Realizing that not everyone has the potential of becoming a customer leads into profiling the characteristics and interests of those who are. This is the group who are good long term frequent buyer customers. Know that customer. Know them well. Knowing what is important to them, and knowing their common interests goes hand-in-hand with why they are, or why they will be your best customer. Your company having ties in the same community, for example, can lead to relationship building and trust. The feeling of connection with your customer often goes further than the message of advertising the ‘lowest price’. Emotion plays a huge part, and you are not going to bond with everyone. Make the best use of your marketing budget. Spend the time to really know who your customer is, and then focus on them. A smart strategy can attract your new best customer versus wasting time trying to ‘boil the ocean’ to get everyone as your customer. 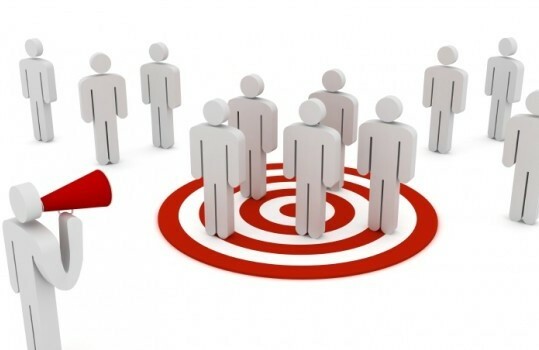 Would you like to learn more about defining your target customers? I believe this to be true in marketing, you only get out of it what you put into it. But putting into it is a decision that plagues most businesses. Marketing requires finesse, you will win some hands and lose some hands but you can’t be discouraged to continue to play. You will need someone to filter through those wins and losses and help you make the best decision about the choices to make next. This is where businesses need the guidance of marketing professionals who are dedicated to continued marketing education. You always want to better your hand, so we stack the deck with knowledge to give you the best opportunity at a winning hand. 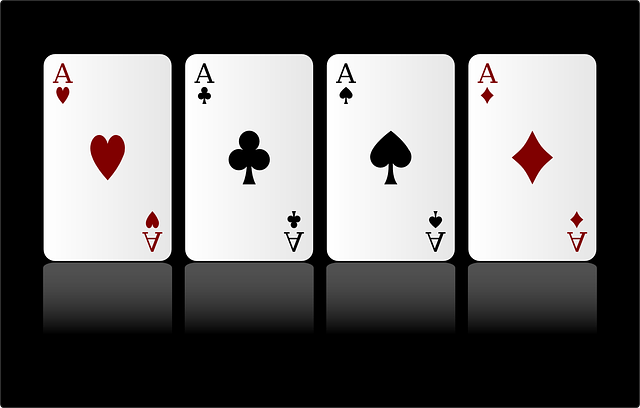 Don’t gamble your money away, play smart, consult a marketing professional to put the odds in your favor for success.